Our system remotely collects and analyses key data in real time enabling a step change in the ability to monitor the condition of safety devices, slam shuts, pressure controls and metering equipment. This is fundamental to all gas infrastructure asset management plans. Traditional maintenance strategies involve frequent site visits to carry out anything from simple inspections to major overhaul of critical components. This strategy provides a useful snap shot in time, confirming that the equipment is at least on line and to some extent that it is performing the intended function. Maintenance and inspection frequencies are usually set based on industry practice rather than on knowledge of how equipment is performing. The asset manager has continuous access to the latest data by secure log on to a web based system, displayed as tables, graphs or graphics, data can be exported to other systems or MS Excel for further analysis. A Dashboard is provided to quickly check the health of multiple sites and allow click by click drill down into any location, historical performance can be monitored, often the best way to identify a gradual deterioration in performance. If an alarm is generated the system can generate an email or text message to inform an engineer that an action is required. The database can record actions taken, by whom and when. The effectiveness of any maintenance strategy cannot be fully understood without detailed analysis of the operation of the equipment, the duty it performs and the environment in which it works. 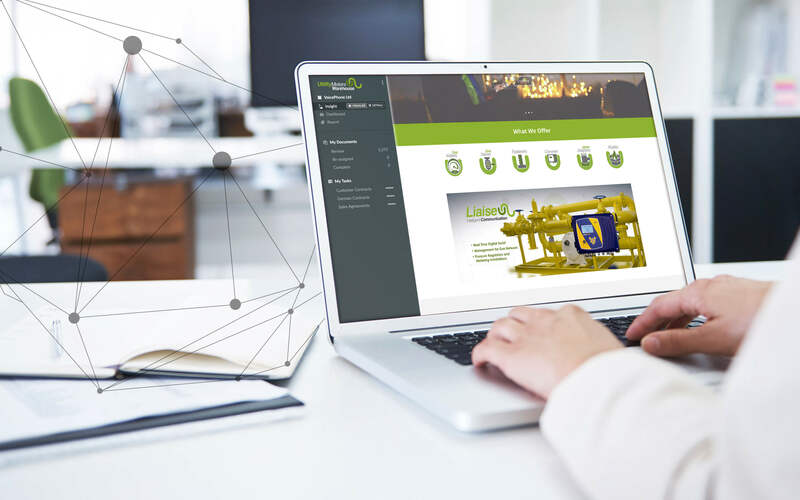 Reliable and effective remote monitoring of equipment can serve to inform the development of an effective maintenance strategy, confirm normal operation without visiting site and prompt timely intervention when something goes wrong. Normal Operation, Reading The Input Sensors Every 1 To 60 Seconds And Storing The Minimum, Average And Maximum Value In Half Hourly Or Hourly Periods. The Data Is Transmitted To The Web Database Once Per Day. Listening, Turning The Modem On For A Short Period Each Day To Listen For New Instructions Or Settings. Site Alarm, Immediately Communicating Any Input, Pressure, Temperature, Flow, Valve Position That Is Not “Normal”. For Example A Pressure Can Have A High And Low Threshold Set In The Device To Generate The Alarm. Data Is Transferred Immediately. Internal Alarm, Operates If There Is A Fault With The Device, Modem, Sensors, Batteries, Software Etc.. Data Is Transferred Immediately.